Childhood in America has changed, and not for the better. From day care for babies, to the exhausting array of activities for children, to the storm of lurid and violent shows now deemed appropriate for the young, to the expectation that teenagers build resumes, childhood has been thoroughly redefined. Anne R. Pierce argues that this radical re-definition has been embraced with remarkably little discussion about what children, by nature, need. Pierce submits that we have latched onto opinions about childrearing that are potentially harmful to children. If traditions are choices to be embraced or abandoned at our discretion, and adult self-fulfillment is a primary determinant in those choices, the fundamentals of the well-wrought childhood are easily forgotten. Steeped in intellectual permissiveness, we have convinced ourselves that parental substitutes are as good as parents themselves at caring for children, that the concepts of nurture and of the maternal are archaic and irrelevant, that more lessons and sports are better than less and that the earlier one embarks upon them the better, and that innocence and knowledge are less important than worldly attitudes and competitive skills. Understanding and challenging the theories and agendas behind childrearing trends is a pressing need, and the subject of this book. Pierce takes an honest look at the evidence on the effects of daycare and of hyper-structuring children. She gives voice to the many intelligent and estimable educators, child-development experts, researchers, and social commentators who are ignored because their conclusions are hard to bear. 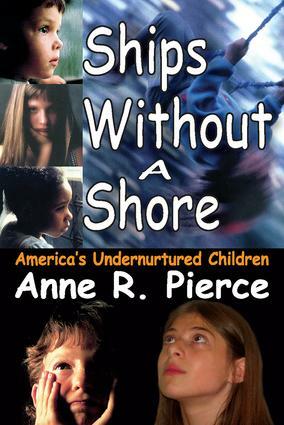 Equally important, Pierce says, is attention to that inner tug of love and conscience, which many of us have been programmed to ignore.Modern American children are expected to adjust and to understand as adults would the complexities and vicissitudes of public as opposed to private life. For them, childhood is fast becoming a distant memory. Could it be that America's thrust forward leaves children without a solid foundation upon which to grow? This is the sobering question asked, and answered, in this challenging book.